A complete roof replacement performed by a licensed roofing contractor can be an exciting and yet demanding experience for most homeowners and family members alike. Unlike what you see or read online, a roof replacement process will take a reasonable chunk of your time. Hence, you should know what and how to prepare with your planned roof replacement project. To help you prepare, here are some of the essential aspects of the preparation that you should take care of. You must not have seen it coming, right? For a property owner, the focus on a roof replacement project will likely be centered on the materials, contractors, and other technical & logistic matters. As a consequence, factors such as your kids and your pets are sometimes forgotten. It is important that for a roof replacement project, particularly a complete roof replacement, your kids and pets should be taken care of. You need to understand the noise and flock of workers in your area might increase their anxiety and decrease their attention into something important, including study and sleep of kids. For that matter and if possible, you should prepare your kids physically and mentally for the upcoming construction project on your property and always keep them away from the unsafe zone or project area. Another important preparation to make is the area where you should be parking your vehicle. It is very obvious that your driveway will be busier and frequently used by the roofers who will be performing the roof replacement task. To avoid any damage to your vehicles, you should find a safer area for it to be parked. Aside from the safety concerns, removing your vehicle from the construction area will also avoid delay of the roofing project. One of the most common mistakes of homeowners during a major roofing project is that they tend to forget the removal of wall decors, especially the breakable ones. With all the hammering and machinery used on your roof, vibration can easily travel which may cause for your wall decors to fall. Whenever you have an impending schedule of a roof replacement, check your walls for any knick-knacks or frames that could fall. As a precaution, remove or transfer them to a safer place. Apart from the wall decors, you should also take care in advance of your old belongings in the attic. When the roof replacement will commence, you will likely have to deal with the dust and other debris falling towards the attic. Hence, you should take the time to cover in advance any belonging or item stored in your attic. And if possible, find a temporary storing instead. 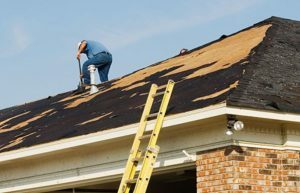 If you expect a major roof replacement that may need a couple of days to finish, you should inform your neighbors about your home roofing renovation, serving as a courtesy to them. The construction of your property might disturb them, which is why it is good to always give your nearby homes a heads up concerning the noise and disturbance to be caused by the roof replacement project. Those are some of the important things you should take into account when preparing or planning a roof replacement service for your home. On top on that, you should not also forget to choose the best roofing contractor in your area as a part of your preparation. Here in Northern New Jersey, homeowners turn to Proven Contracting for help, especially for the people of Long Valley, Bridgewater, Randolph, and Hackettstown NJ, you have Proven Contracting of Bridgewater NJ, Proven Contracting of Long Valley NJ, Proven Contracting of Randolph NJ, and Proven Contracting of Hackettstown NJ to help you. Contact us today not just for roofing services, but also for your siding, windows, gutter, and skylight needs.